A very special project for Red Riot, a band with a personal style that combines thrash metal and sleaze rock. The band had started to talk about themselves a little more than a year ago with a debut ep released for Volcano Records and a tour of ten concerts in Europe, remaining then always very active with live impacting long and wide the Southern Italy that have made it a small cult band among fans. Today the Red Riot announce to be finally ready for a new chapter in their history. 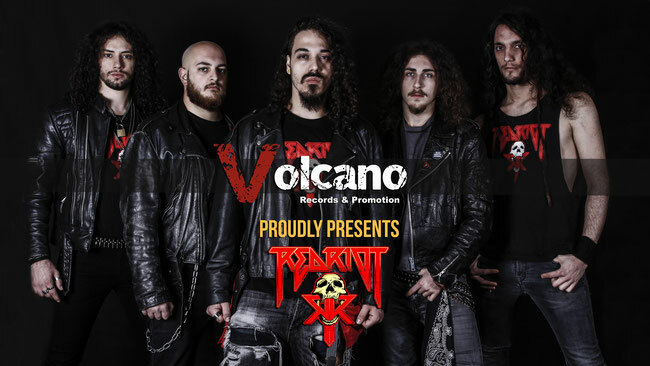 In fact, it has just been announced that the band's first album will be released in autumn, confirming the successful partnership with Volcano Records, which presented the group as one of the most interesting and promising companies of #nextrockgeneration (this hashtag that for some months Volcano associated with its promotion of young and emerging bands). Already announced news and further anticipations to the disc for the next few months, so you just have to wait to hear more about this young and promising metal band.